PHOTOS: Prize-Winning Images Capture The Beauty Of Daily Life Around The Globe : Goats and Soda A Vietnamese woman looks as if she's swimming in a sea of green fire — one of many striking images from the Siena International Photo Awards. In a village in southern Vietnam, a woman weaves a fishing net. By tradition, Vietnamese women make nets for their husbands. Can you find beauty in a life of hardship? If the photos from the Siena International Photo Awards are any indication, the answer is yes. 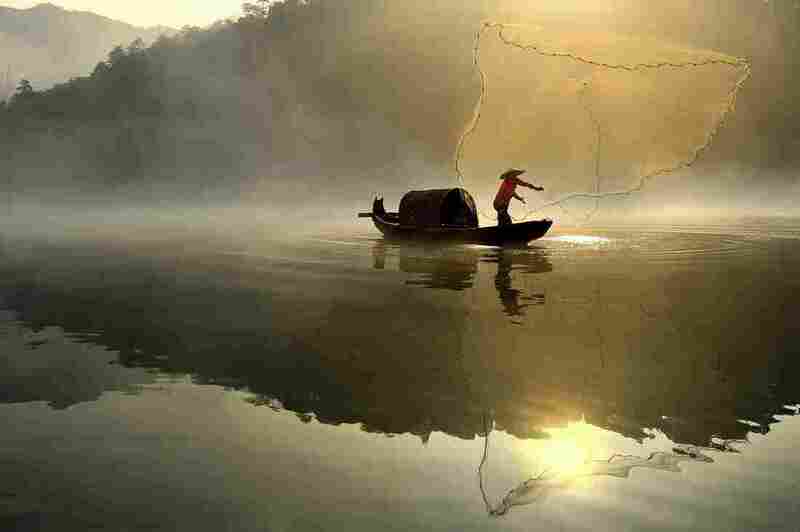 Last month, the winners and runners-up in 11 categories, including travel, nature, people and portraits, were announced. Many of those top images were taken in the developing world, depicting lives affected by poverty and adversity — but not in the way you might expect. 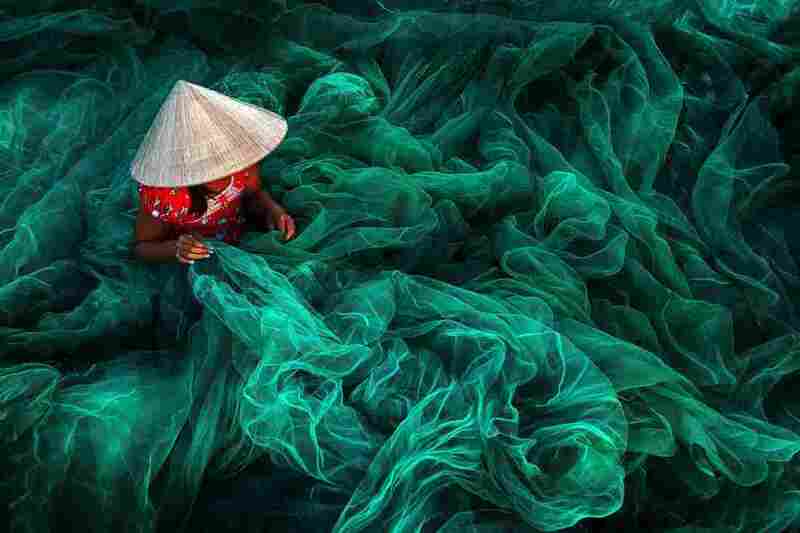 A Vietnamese woman making a fishing net looks as if she's swimming in a sea of green fire. 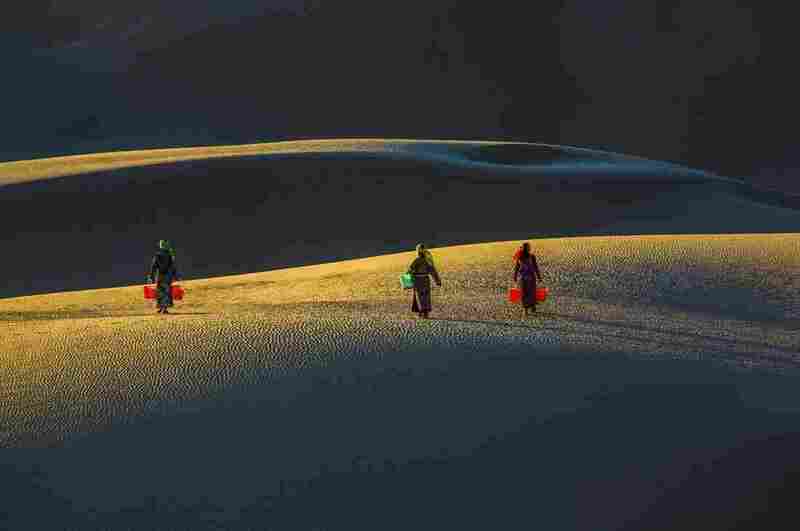 Girls from a Mongolian tribe fetching water in China trek across shadowy sand dunes that dip and curve like the human body. 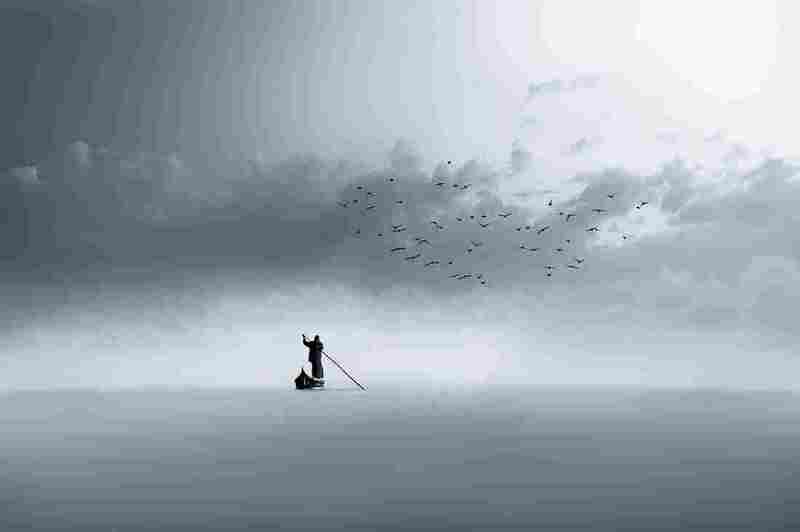 A lone fisherman in Iraq sails across the Euphrates River in a haze of silver light. "I can feel how people live," says Gabriele Venturi, a contest organizer. The Siena International Photo Awards, an annual contest organized by a group of photographers and enthusiasts from Siena, Italy, is only 2 years old, but it's already made quite the mark. This year, 5,000 people from 130 countries submitted more than 45,000 photos — double the number from last year. The contest culminates in Siena's Art Photo Travel Festival, running through the month of November. The winners, who came to Siena for the awards ceremony, were encouraged to stick around, share ideas with their fellow photographers, add each other as friends on Facebook and keep in touch. For Venturi, that's the whole point. "Our main aim was to create a community. 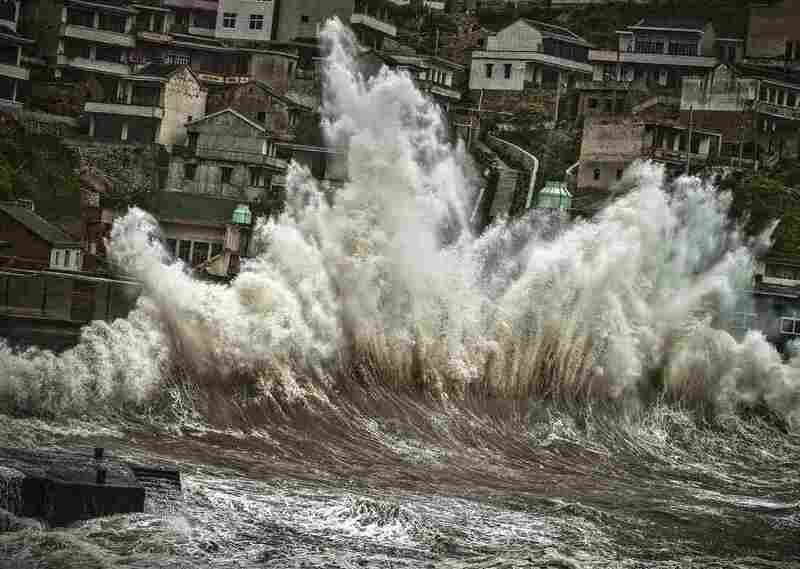 People just participate in photo contests and it all ends," he says. "We wanted to create something continuous." 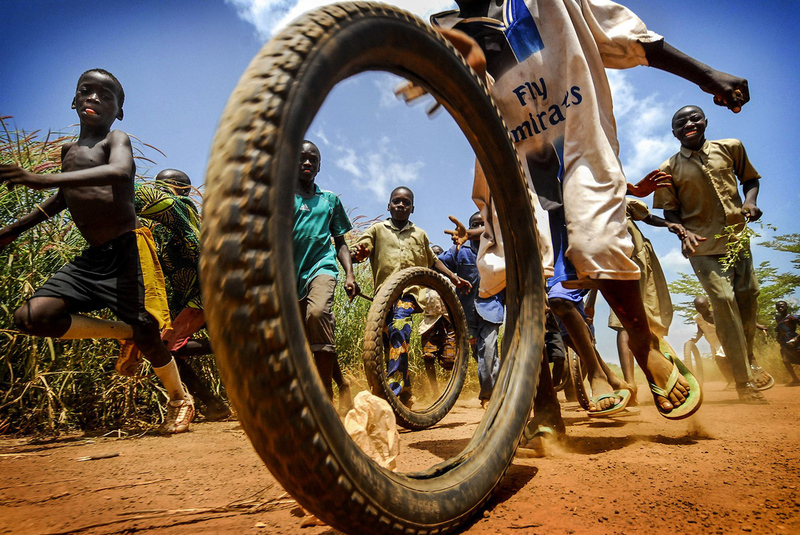 Children play with tires outside a medical center in the West African nation of Togo. As the sun rises over the Naiman Desert in Inner Mongolia, China, girls carry buckets on their way to get water. 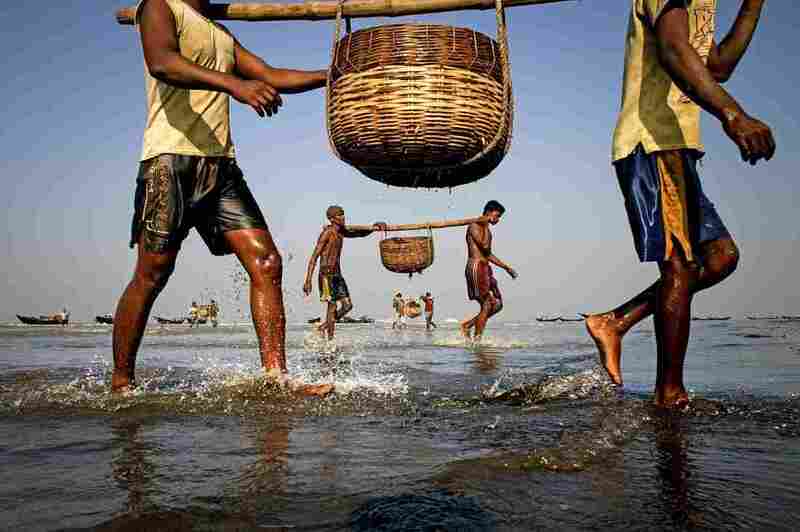 Fishermen in the Sunderban area of Bangladesh return to their boats after collecting fish in baskets.